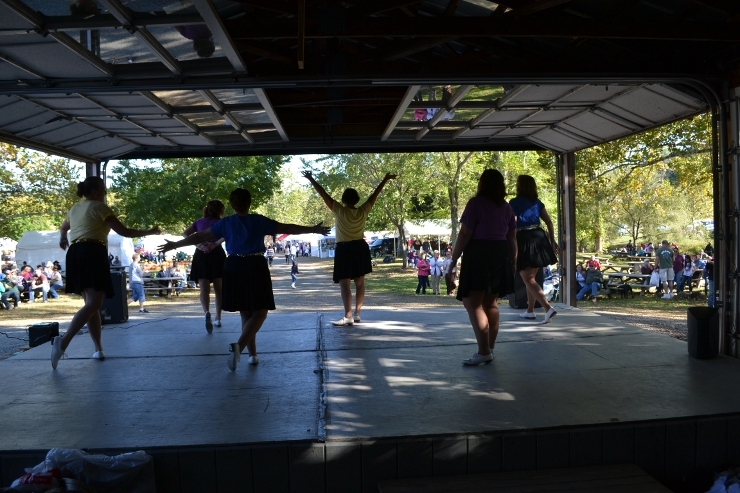 Beginner clogging class taught by the Skyline Country Cloggers. Learn basic clogging from scratch. The 8 fundamental clogging steps are taught, from which all other steps are formed. By the end of class, students will have learned at least 1-2 routines performed by the club.